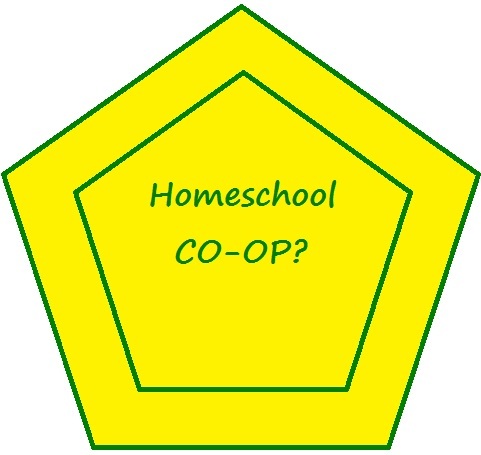 Does being a member of a homeschool co-op extend your child's homeschool experience, or does it defeat the whole purpose of homeschooling? I have home-educated my daughter since she was in kindergarten, and during that time, I have considered signing her up for a co-op. Why? Because it's one of those things many homeschool parents talk about. I sort of felt like it was one of those things I should, or was supposed to, do. Co-ops are church-related and secular, and typically provide classes one to three times per week. In most cases, parents are required to remain on site during class hours, and many co-ops require parents to teach a class at least once per month on average. Some co-ops are completely staffed and do not require parents to teach. When my daughter was in the 2nd grade, I started looking at various local co-ops-- asking a ton of questions and checking schedules, prices, curricula, rules, and other information. I must say here that, in my experience, generally, homeschool co-ops are extremely over-priced and over-rated. Although I have thought about it from time to time, I never joined a co-op. One of the wonderful advantages of homeschooling is that WE get to do what we want to do when and how we want to do it. Our schedule is our own, and we control it. It's flexible. It's convenient. It isn't rushed, and specifics such as the schedule, the curricula, the pace, and days off aren't determined by someone outside our family. Even better, we get to study the bible as much as we want. Homeschool co-ops may work for many home-educating parents, and I'm sure there may be many positive aspects; however, co-ops aren't for my family. To me, they seem to be too closely related to outside educational institutions, and that just doesn't work for us. We don't need a co-op for education, and we don't need it for "socialization". I don't have an objection to my daughter being exposed to different teaching styles, but that isn't enough to get me to put her in a co-op. Home-education is about finding whatever works for your family. For us, co-ops don't fit the bill. Do you homeschool? If so, do you belong to a co-op? What has your experience been like? Thanks for reading, and your comments are appreciated! That is so funny we had similar co-op experience and we had an opposite reaction. I began a SMALL, Project (not teaching) Orientated, inexpensive Co-op that we love.BTW I totally agree with you about the large cliquey, expensive co-ops as defeating the purpose. Great Post. Thank you so much! I actually thought about starting my own little group, but location and other issues became a problem. It also doesn't help that I live in an "affluent" community where many of the homeschooling parents I've met have an issue with my race and economic standing. I didn't expect to run into that in a homeschooling community. I was seriously surprised. I had planned to add that to the post, but I've decided to write a little blurb about it, and then write a complete post on the topic next. Thank you for your comment, Sara! You raise a point I hadn't really thought about-- social time. It is true that when my daughter is around her friends, the last thing she wants to do is study. I'm a single mom, and we really enjoy our study time together as a family as well. We really enjoy it. It's wonderful that your children were able to communicate their preference to you. I think we're a couple of lucky mommies!